My concern with God followed me into the university, where I studied more texts with men who were legends even in their own lifetimes. It followed me into rabbinical school, where again I studied texts with men who were legends in their lifetimes. It followed me, yet again, into my years in the practical rabbinate, the work of which had, however, very little to do with God. And then, it followed me into doctoral work and a long career centered around the many, many ways the Jewish tradition uses to express itself on the subject of “Who is God.” For some, this meant an abstract, philosophical understanding of God as the power behind the universe. For others, it meant intense mystical experiences of various sorts. For others, this meant being in the living presence of God, listening and talking to God. At various points in my life, I tried all of these, settling on the last of them as the most spiritual, for me, though I respect the spirituality of others. This portal, and book, is the culmination of many decades of reflection, experience, learning, and thought in that mode. When I began to write, I wrote in Harvard outline style: very orderly, with an argument and well appointed footnotes. I published several books in that style. Slowly, however, I learned to follow the more poetic style of the psalmist, the prophets, and Abraham Joshua Heschel. Always, however, there was a beginning, a middle, and an end. Then, the internet came and the idea of “book” changed. People rarely needed (or used) books that had a beginning, a table of contents, a middle, a conclusion, and an index. A new kind of “book,” one which was written for the internet, developed. Because internet “reading” is more associative, more intuitive, the units of the internet “book” are shorter, the “footnotes” are embedded clicks to something else. Also, there is no argument as such, nor is there a “beginning” and an “end”; there are only links to the next unit(s) / idea(s). This is not bad; it is just very different, especially for those of us who are a little older. Challenged by this new mode of reading and writing, I decided to formulate my thoughts on God in internet format. This resulted in the portal that you are reading. Writing this way was an exciting experience, unlike all of my previous work, and I am glad to have been able to present God in this new way. I am, however, old enough to want to see this work appear as a real book, to be published by Hamilton Press, entitled Keeping God at the Center: Contemplating and Using the Prayerbook. The reader, thus, has the opportunity of reading this material as a portal and as a book (and as an ebook). I am not able to add material to the latter but I hope to add material from time to time to the portal. How does one write about God? The book and this portal are the answer to that question. There are four parts, each composed of chapters and units. Each unit is short, though some are longer than others. In the portal, each unit has links to other parts, and the Table of Contents allows easy navigation between parts. The book concludes with an Index that enables one to follow various themes. Part One is entitled “Insights.” It is composed of reflections on texts from the classic Jewish liturgy for weekdays, Shabbat, and holidays. Part Two is entitled, “Thoughts.” It is an extended reflection on the theology behind prayer. For systematic theologians, this should be the first part. 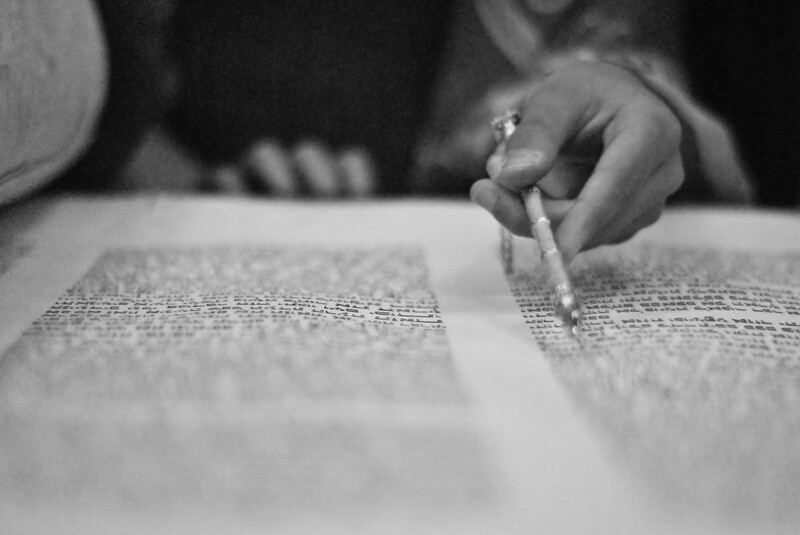 For most of us, it is best to approach Jewish prayer more empirically; hence, I begin with actual insights and allow the reflection on the underlying theology to follow. Part Three is entitled “Meditations.” Each of its units is a “how to” piece, an instruction on how to pray, on what to have in mind as you recite selected texts from the liturgy. Part Four is entitled, “Mystical Meditations.” Here, too, each is a “how to” piece, an instruction on how to pray selected prayers with zoharic intentionality. This portal will appear in book form under the imprint of Hamilton Press. I want to thank Holly Buchanan and Bethany Davis for their genuine support and timely help in bringing that part of this project to fruition. I also want to thank Candace West, Wei Zhu, and Taline Cox of the Social Science Research Council’s program on Religion and the Public Sphere. They took on this project with a faith that it was worth doing, and they diligently saw it through the stages of editing and web management to its present form. Their faith in this, as well as their editorial and aesthetic sense, have made this portal on Jewish prayer possible. Finally, I am honored to dedicate the book, Keeping God at the Center, and this portal to Murray Perahia, the most distinguished pianist of our generation. I have had many conversations on the relationship between text and interpretation with Murray. He says, “The music is not on the page; it is in the interpretation.” That is true of liturgical texts too. Prayer is not saying what is written on the page; it is in the interpretation of the text. One must interpret to make music, or to pray. Music and prayer are in the interpretation and intention of the doer. Murray says too, “It is not enough to play the notes. You need to know the line of the music and all its voices. That requires study.” That, too, is true of prayer. One has to know the meanings, and there is always more than one meaning. One needs to hear the associations, the overtones, and the undertones. Understanding a piece of music and understanding a sacred text requires knowledge of the text, the commentaries, and the supercommentaries. One needs to study all of them to grasp the whole. Music and prayer are in the serious scholarship of the doer. Finally, it is not enough only to study and to practice. One must “perform”; one must “do” music and prayer. Music and prayer are in the action of the doer. All this I have learned from Murray Perahia. There is also the holiness of beauty. If electronic reproductions of music could wear out, I would have used up many such recordings of the works of Murray Perahia. For decades, his Mozart, Beethoven, Bach, and much more have been in my ears and heart as I have sat down to write, to edit, and to ponder. I could not have come this far without Murray Perahia. It is an honor to dedicate this work to him.